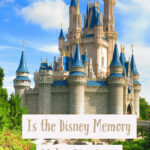 Home Theme Park Destinations Disney Is Disney Memory Maker Worth It? 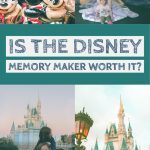 Getting most out of the Disney memory maker. I’m a researcher. It probably has something to do with not being able to afford a proper meal growing up, but if something costs more than $100 I spend an inordinate amount of time researching my purchase beforehand. Here we were spending a TON of money on a week and a half long trip to Walt Disney World, I wanted to make sure we got our money’s worth. I saw the option of adding on the Disney World Memory Maker and thought it seemed like a great idea. 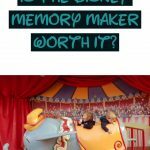 How does the Disney Memory Maker work? 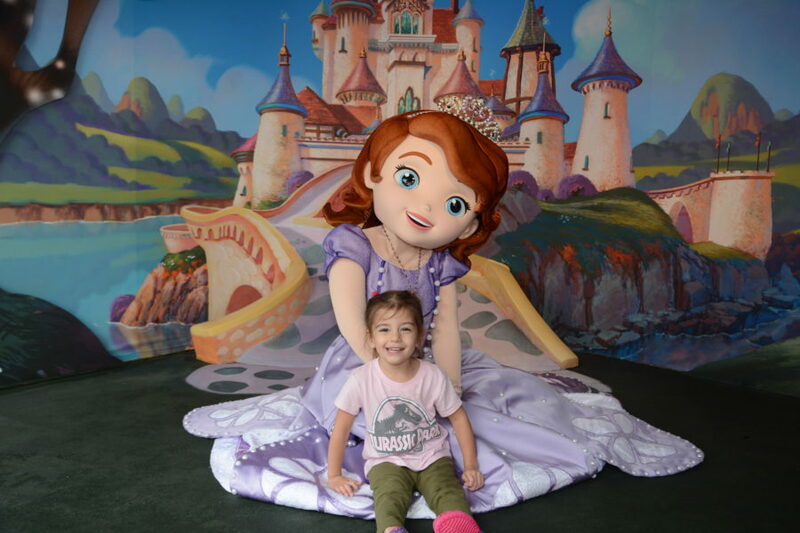 The Disney Memory Maker is essentially a photo package. For a set price, you can download all of the photos taken of you (and your friends and family members) during your trip. Professional Photographers are found throughout the park, including at photogenic hot spots, ride entrances and Character meet and greets. After having your photo taken, you scan your card or magic band. 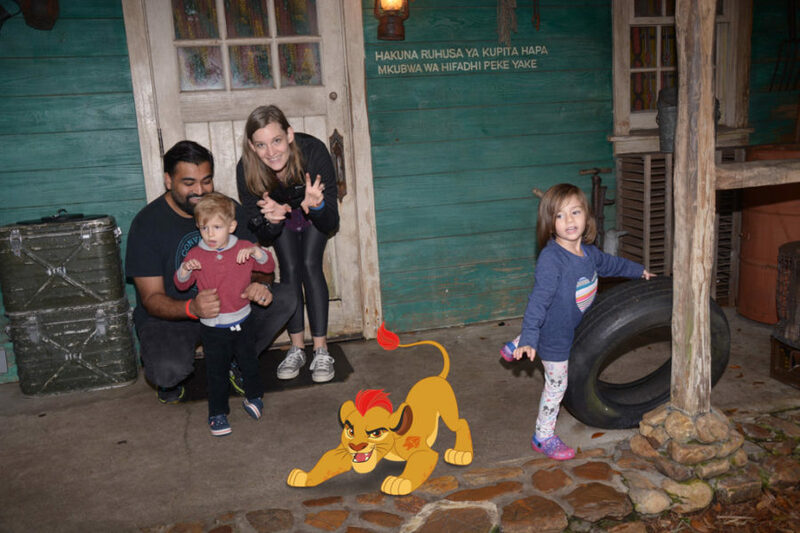 Photos are then linked to your My Disney App where you can easily download straight to your phone. 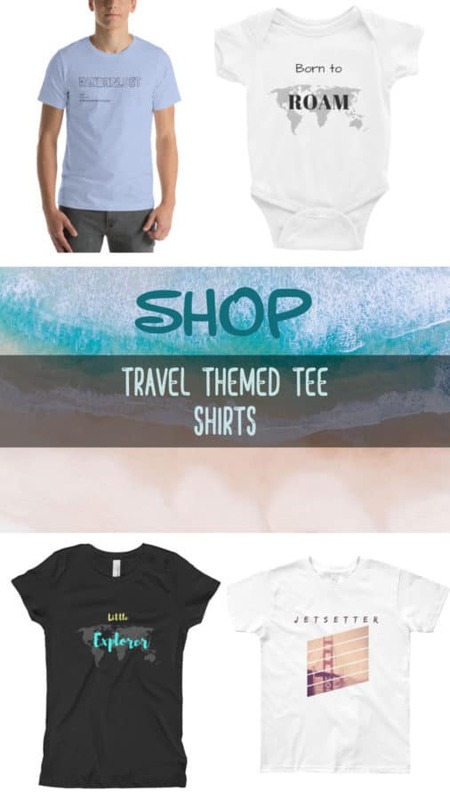 This post contains Ads and/or Affiliate Links. Ride photos ARE included in the Disney Memory Maker. Some ride will automatically add them to your my Disney account. For others, you will have to scan your magic band afterward. Photobooth image downloads are also included (except for the ones located inside of resort arcades). Unfortunately, the first one we tried was out of service. 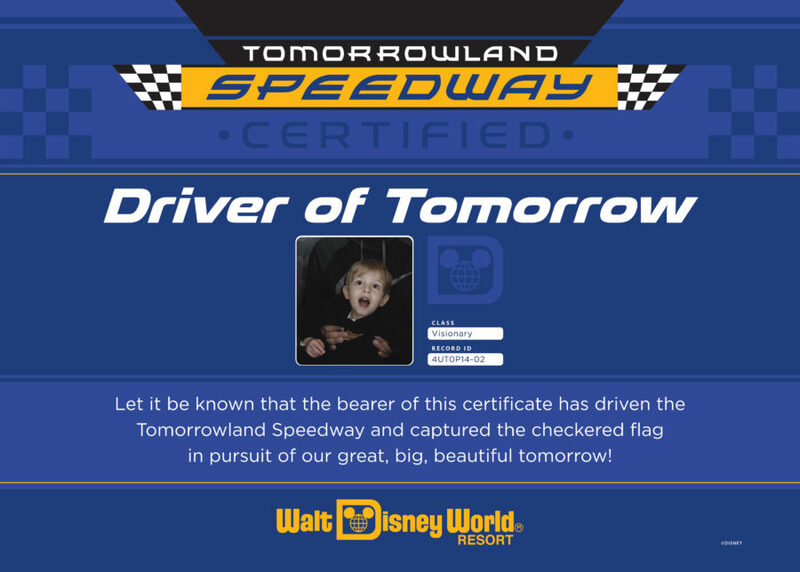 The second one was outside of Tomorrowland Speedway. It created a “Drivers License” image. It’s not a keeper, but fun for my toddler to take and look at! How long are the photos good for? Photos can be taken in the park for up to 30 days. The images will remain in your account for download for 45 days after your 1st download. Is the Memory Maker included in the annual pass? YES! It is included for the entire year! 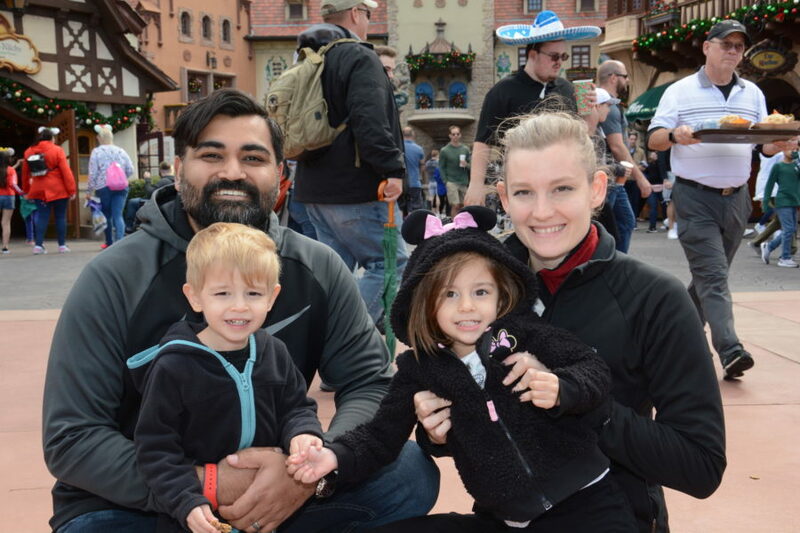 If you currently have or are purchasing an annual pass, be sure to read my tips for getting the most out of your memory maker at the bottom of this post. In true Disney style, the rates have recently gone up. If you buy the Disney Memory Maker in advance (at least 3 days before your 1st day in-park) you will pay $169. If you do not purchase in advance, the price is $199. Can you buy Disney photos Individually? Yes, you can – for about $15-$18 per image printed. Professional photographers taking an unlimited amount of photos during our trip for a very reasonable cost! It sounded great. I read a few reviews online and decided to go for it. 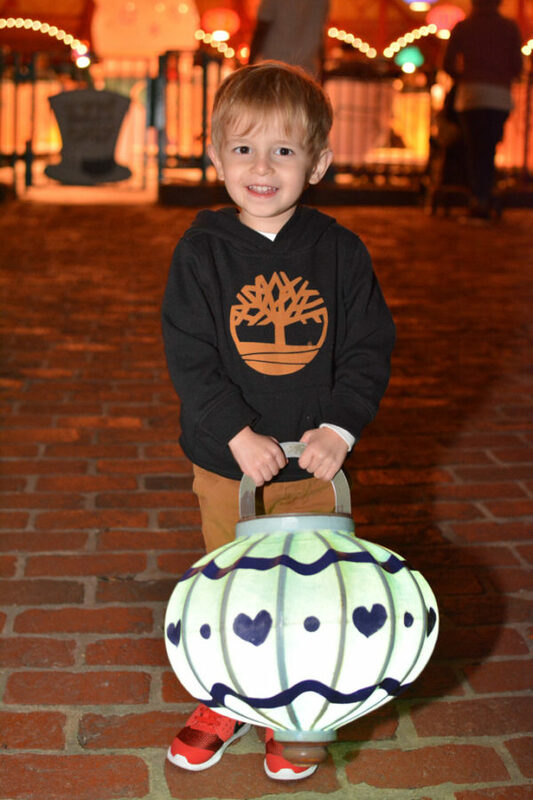 People loved getting photos with everyone in their family and the “magic infused” images. I was pretty excited to not lug my camera around and be able to just focus on enjoying myself during our family time. For a week I left my camera at home. I took a few photos on my cell phone just because I had it on me but I noticed that a LOT of people had their cameras with them and were using them frequently. The photos started to load in through the Disney app and I immediately saw why. Many of the photos were terrible. I mean really amateurish. The angles were off, some were crooked, some blurry and they were all unedited. You are not sent any large or RAW files so you can’t edit them too much to fix any problems. Several of the images were really crooked, I mean, they couldn’t even straighten the photos for you? The “magic shot” photos looked extremely cheesy. In addition to being unhappy with the photographs themselves, we ran into several other issues. Blurry photo taken by a Disney Photographer. Long lines. 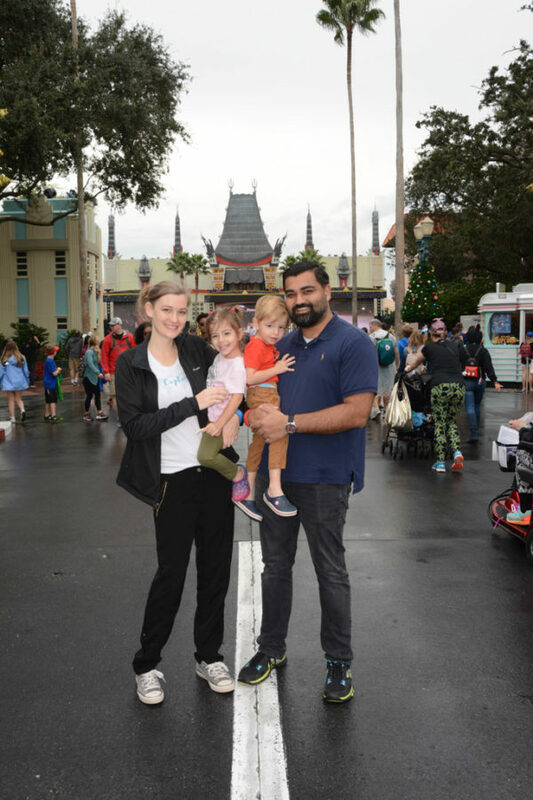 I mean, it IS Disney and there are lines everywhere but I found it annoying that we had to wait in 15-20 minute lines just to get a family photo. Once it was our turn, the photographers naturally felt rushed and would only take 2 photos. Here’s the thing. If you’re not a great photographer, at least take a few more shots in hopes of getting a nice one. I should note that we visited mid-December which is more crowded than some other times of the year. One Photographer spent 15 minutes talking to a family whose daughter wanted to be a photographer. He went on about how amazing his job was. I was happy for him that he loved his job and was inspiring the young girl but a simple “I’ll be with you in a minute” would have gone a long way to those already 20 minutes in the line. We ended up not waiting for his conversation to end and went to find some yummy roasted almonds instead. Because who doesn’t love unsolicited parenting advice? We wanted a family photo with all 4 of us. We waited 20 minutes in line and headed over to the bench where everyone was sitting. My very stubborn 2-year-old wanted to stand on the bench. I (her mother) wanted her to stand on the bench because I knew it would make for a nice photo. I was holding on to her, she was between two adults there literally was no issue. I had seen other photographers taking photos of other kids standing on benches. This photographer (not knowing my child at all) decided it was a problem for her to stand. I insisted it was fine. She insisted it was dangerous and my daughter would somehow fall down and break her tiny head open. I was polite and told her that my daughter has excellent balance and rock climbs in her free time at much greater heights (than the 2 feet she was standing on) without issue. The photographer didn’t let up. She refused to take our photo. By then my daughter had lost interest in standing still and wanted to burn on some energy. Before getting up I briefly told the photographer that she should leave some things the discretion of the parents. I took my daughter to a nearby bench where she repeated climbed up and jumped down. Each time putting her hands up after her jump, doing a bow and saying “Thank You, Thank You.” Each time the photographer looked over and gave me a slightly more dirty look. Girl needs to get her own child to overprotect. My toddlers standing on a different bench (gasp!) Image was taken with my GoPro. We waited for a photo in Toy Story Land. (That place is seriously awesome!) Halfway through the line, the photographer announced that his camera had an issue. It was apparently shooting blue images and he wasn’t able to correct it. He had to go and get a replacement camera and would return in 15-20 minutes. Poor guy. We decided to not wait as our kids were antsy. I should cut them some slack because Disney World can be a challenging place to photograph, they’re on their feet all day in all types of weather conditions and they only make $10-$13/hour. The majority of the photographers were very kind, great with the kids and we did get a handful of nice photos through the process. This image was downloaded from the Memory Maker. 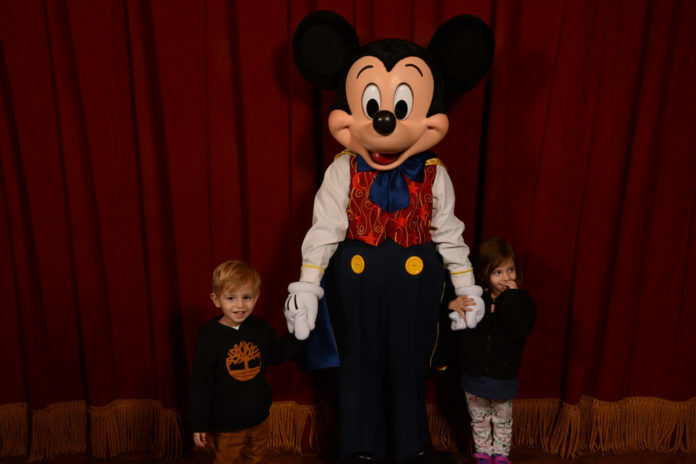 Will Disney Photographers use my camera? You do NOT need the Memory Maker to utilize Disney Photographers. I wish I had known this. I saw so many people handing over their phones and asking for a photo and never saw a single person refused so this seems to be a thing. You can even hand them your DSLR. 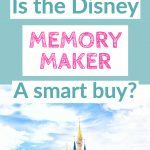 Would I recommend the Disney Memory Maker? After a full week at Disney, I went through all our photos and decided there were only 9 I actually liked. That meant I spent $18 per photo. Which is pretty steep considering they were not mind-blowing or anything. I don’t even consider most of them to be professional quality images. That’s also the price for a simple download, not a print. I probably would have only paid for 3 or 4 so I would have saved money by purchasing a few printed photos individually. The last day I took my DSLR camera with me and took more photos than I had got all week with the memory maker…… and I actually liked them! Taken by my hubby, using my camera. So the burning question. Do I recommend the memory maker? Obviously not. At least for myself as someone who has a camera, takes good photos – (if I do say so myself) and can recognize a quality image when I see one). You hardly have any photos of the whole family AND are massive Disney fans. I say and because if you just need a family portrait done, you will be much happier with hiring a local photographer in your area. 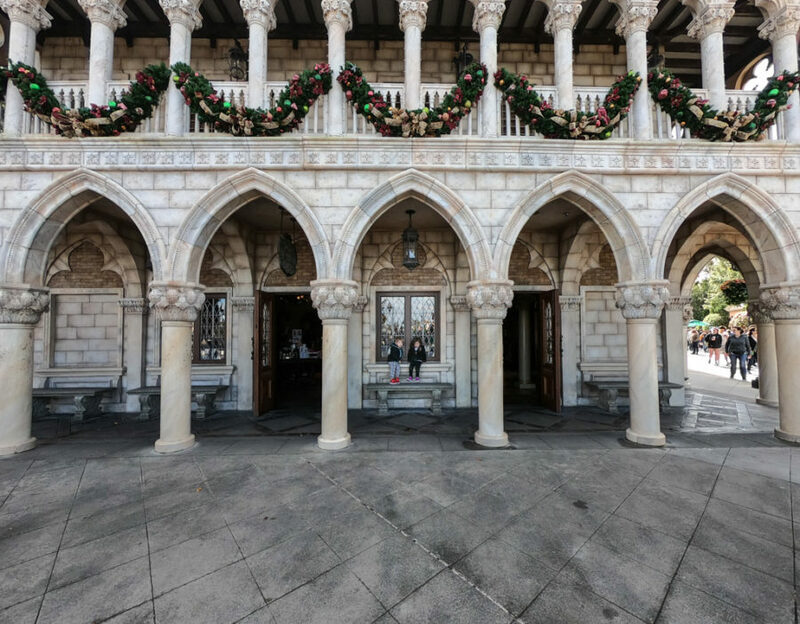 You could even head to a nearby beach and hire a photographer in Orlando. We were able to get a lot of photos with the four of us in the frame! You think the photos I’ve shared (taken by the Disney photographers) are amazing, you want a lot of them and are happy with the Memory Maker cost. 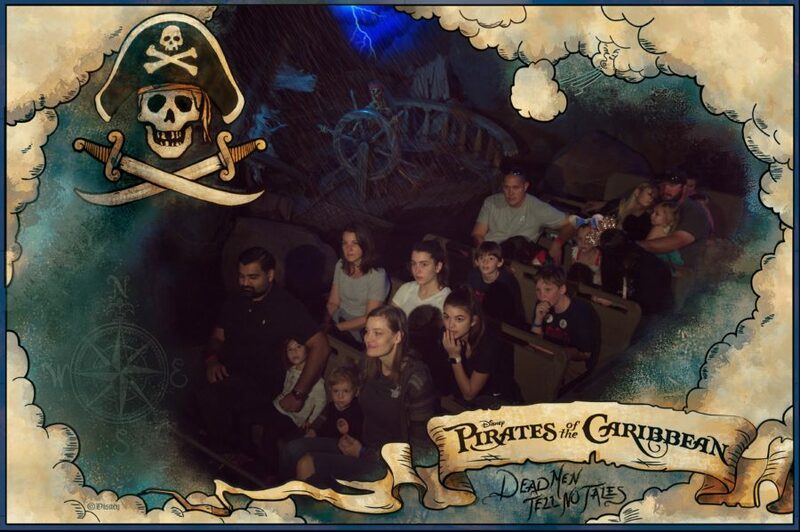 You know that the photos they take couldn’t possibly be any worse than yours and you don’t want to worry about taking your own photos during your trip to Disney. You love the photos taken on the rides themselves. You can purchase these individually – but if you know that you will want them all, the memory maker might be right for you. You are traveling in a large group. This is the only time I would personally consider purchasing the pass again. The photo pass works for ALL your friends and family and you only need to purchase one. So if you are traveling with a lot of extended relatives, for example, you can get everyone in the photos together. Which is something pretty special. The person who purchased the pass doesn’t even have to be with them at the time. As long as they have been added as friends or family on the app, they can scan their wristband (or card) and have an image taken. The price per person and per photo makes it really worth it at that point. Get the sunset photo in front of the castle. I wanted this photo. We passed the photographers every day at sunset but just couldn’t bring ourselves to wait in a 30-minute line for the shot since I had my camera at the hotel. I brought my camera on the last day, went to the side of the castle to avoid the crowds and took a few photos. If you are going to wait in just one line for a photo, go for the castle at sunset. The photographers have soft light boxes set up along with tripods. It will be a good photo, you just have to wait in the line. The lines are shorter the further away you get from the castle. Make sure to add everyone to the My Disney Experience app as your friends and family so everyone can use it. The original photo downloaded via Memory Maker. I later edited it a bit, converted it to black and white and it looks so cute! Taken by a great Disney photographer. Send your kids for individual shots. 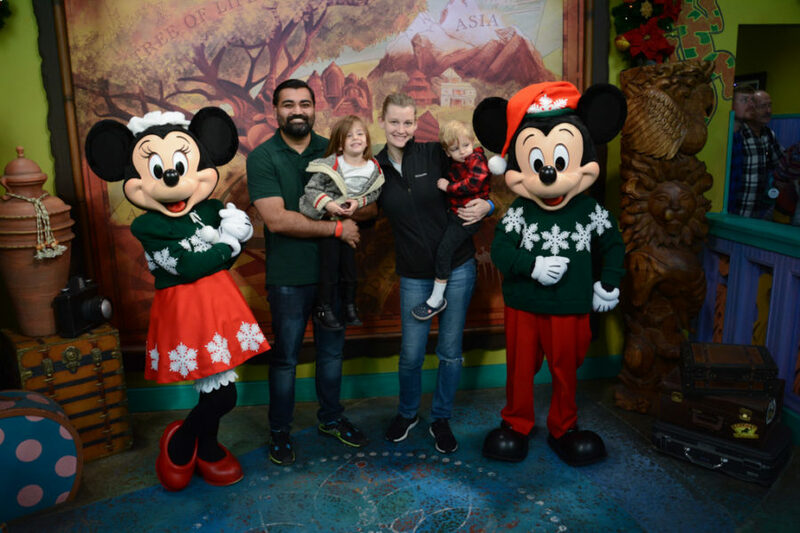 Most people only do family shots (unless the kids are meeting Mickey). After so many family photos they’ll all start to look the same. Mix things up by having your child pose alone like the example above. Make your own poses. I had a photographer get a bit annoyed with me for kneeling next to my child but we already had 5 photos standing in the same pose. I think they’re trained to pose families all the same but at the end of the day, they will be your photos, so don’t be afraid to shake things up. Kneeling next to your kids allows/forces the photographer to get closer in on all your faces. Look for photographers set up with tripods and lighting. I found that those photos turned out much better. Angle up. This is a big one. The crowds at Disney are insane. Angle your camera/cell phone up as a way to crop them out. You may need to get low in order to angle your camera and still have your subject in the shot. One of my favorite cell phone photos! Move to the side. 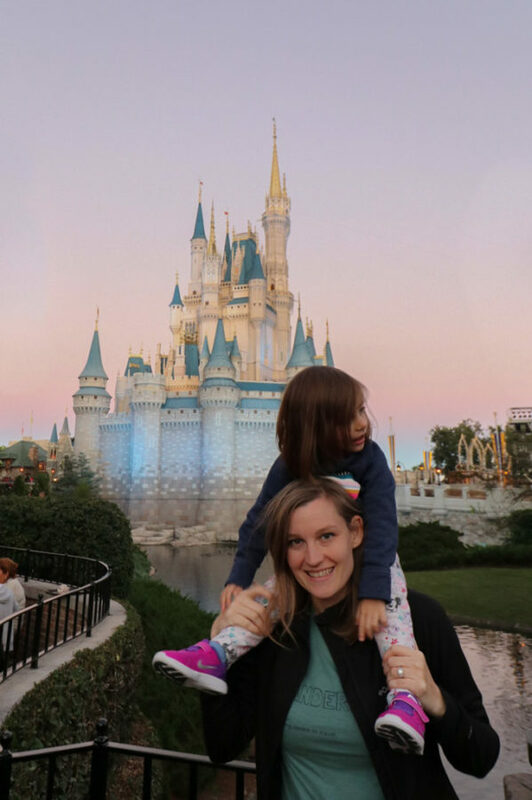 Everyone wants a photo in front of the Disney Castle, and you can get one. But if you find there are too many people head to the side of the building/attraction where you might be able to find an unobstructed shot. Look for photo props. For example this Dumbo seat in front of the line entrance. Want more photography tips? 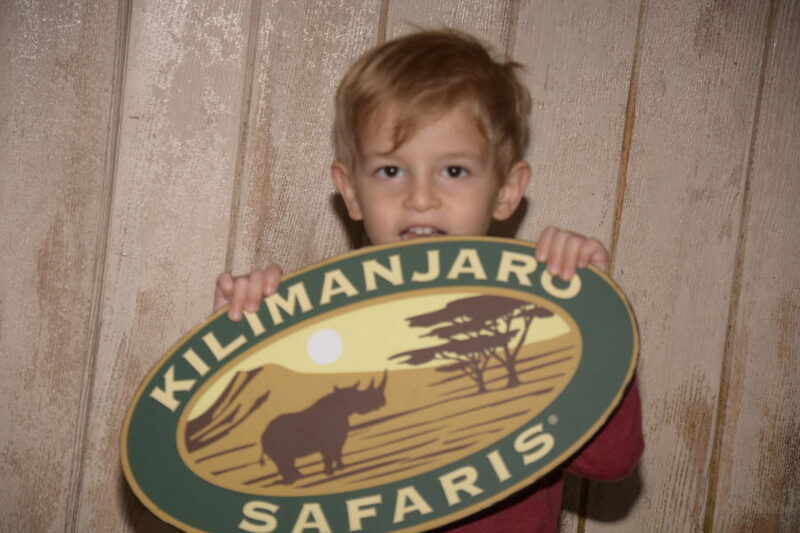 Check out this guide to getting in the frame with your kids while traveling. Overall, if you have any eye at all for photography the memory maker is something to skip. 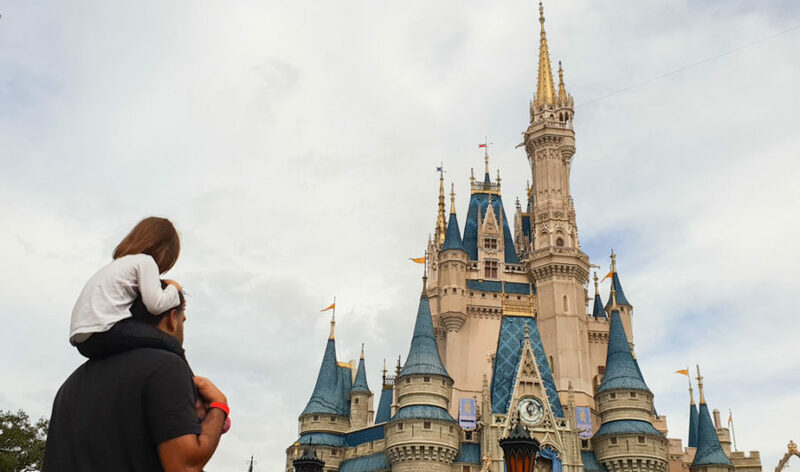 Save your money, I promise you’ll find another place to spend it in Disney – probably on your very first day.